Back In The Gi » Blog Archive » Do most fights end up on the ground? Do most fights end up on the ground? If you’ve spent any time in the martial arts, you will have heard discussions about which is the best, often in the context of real self-defence application. Name a martial art, and someone will be all too eager to tell you why it is not useful on “the street”. As often as not, the discussion will include the well-known assertion that most real fights end up on the ground. There might even be an impressive statistic attached to the claim, like 80%, 90%, or even 95% of fights end up on the floor. Arts like karate therefore are inferior, it is argued, because they focus on strikes and blocks instead of takedowns and grappling. “The LAPD study does not show that “90% of fights go to the ground.” Instead, the LAPD study shows that 95% of altercations took on one of five familiar patterns (with which any street cop will be intimately familiar). It also shows that of that 95%, 62% ended up with both the officer and the suspect grappling on the ground. This last statement is important, because regardless of the number in the original study, these statistics are not really relevant to the kind of situation most martial artists envision when they make the claim. – Both fighters went to the ground in only 42% of the fights. (At least one ended up on the ground in 72% of the fights). It bears noting that most of these fights probably did not involve a martial artist. Someone with training in karate would be expected to attempt to end the fight quickly before it ever went to the ground, which may not be the case for untrained combatants. – Of the fighters who ended up on the ground, 57% got there by virtue of a throw, a trip, or by being pulled to the ground. 35% of them headed groundward as a result of a punch. So, even if most fights do not, in fact, end up on the ground, developing skills in stopping throws, trips, and other takedowns is a good idea. 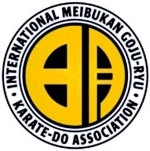 Striking is one way to prevent takedowns like this, but many karate students also train in various grappling techniques that are relevant in this situation. – Perhaps the most important result of this analysis is that you really don’t want to be the one who goes to the ground first. If you do, the odds are that you will lose (59%) or at best will struggle to a draw (33%). To summarize, there is little data to support the claim that both fighters will end up on the ground most of the time (let alone 95% of the time). In fact, it seems like most fights do not end with both participants on the ground, but if someone does end up there you definitely want it to be the other guy. Training in grappling is a useful thing to do, but this is best spent focusing on stopping takedowns or escaping when pinned under an attacker. Going to the ground on purpose is not a good idea, especially if there are multiple opponents. Training in striking arts like karate can be useful for ending a fight before it ever goes to the ground, but this should include realistic practice for combat against attackers who do not use martial arts techniques. If you do end up in a conflict situation, it is best to stay on your feet — that makes it much easier to walk away.